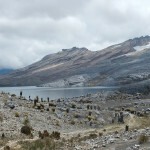 The Quilotoa Loop is a hiking trail that passes through some remote Andean villages in Ecuador. It usually takes 3-4 days but can be done in less time if you take the bus between some of the towns. 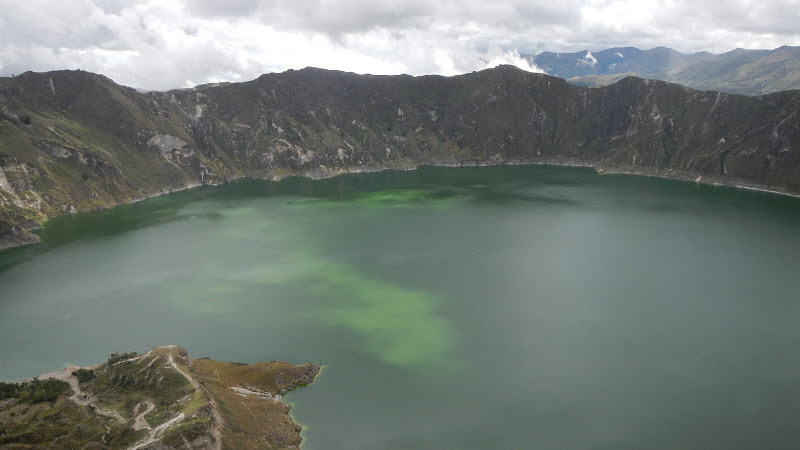 The highlight of the loop is the stunning crater lake in the town of Quilotoa. Hostel Tiana in Latacunga has a map and guide (sometimes inaccurate) to the loop available and is a good place to store your bags and return to after you’re done. We did the loop from south to north, starting in Quilotoa. We caught the bus from Latacunga to Quilotoa (2 hours, $2) around 10am, arriving around noon. As of Apr 2013, the last few km of the road leading to Quilotoa is under heavy construction and some travelers said they were delayed for over 1.5 hours. It’s a very short walk from the bus stop to the crater lake, maybe 10 minutes. Once you reach the crater rim, you’re treated to a beautiful view of the lake. We walked anticlockwise around the crater rim, stopping off at a man-made viewpoint about 45 minutes away for a snack. From here, it’s a steep walk up and over the highest point of the crater (~3900masl) followed by a few more steep up and down bits. It’s possible to avoid the peaks but the path around them is much longer. Unfortunately it was completely overcast in the distance so the view didn’t vary much as we made our way around the crater rim. Apparently on a clear day you can see Cotopaxi. There are surprisingly many hostels in town; rates for a dorm bed including dinner and breakfast are $8 and up. We stayed at Hostel Chukirawa, one of the nicer options in Quilotoa. After breakfast we took the clockwise path around the crater rim. 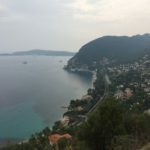 It’s important to keep right as you’re leaving town, we took the wrong path and had to go off-piste for a while to get back on the correct path. After about an hour or so we reached a large sandy clearing then took the path down towards Guayama. There are small red wooden stakes marking the way. Guayama has a small shop and bakery but no restaurants. After about 20 minutes of following the road out of Guayama we came across a viewpoint where we stopped for a snack before taking the steep path down to the bottom of the valley. After crossing a small river, the path winds back up and out of the valley for a little over an hour and intersects with the road to Chugchilan. The hostels are just past the main square. 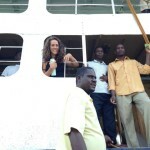 Mama Hilda is the upmarket option. Cloud Forest is also very nice at $12 per night, includes dinner and breakfast. Everyone told us this would take 4 hours which completely dampened our spirits after we passed the 4 hour mark and Sigchos was nowhere in sight. We missed the unmarked foot path down to Itualo, and instead walked along the road down to the town, which consists of a church, school and a few houses. The path that leads down to the river is unmarked and difficult to find. If you’re walking out of Itualo (you would pass the school, then the church in that order) along the road towards Chinalo, the path is about 40m from the church on your right hand side. Follow the path along the river and don’t cross any of the bridges. Not long past the bridge that consists of a gigantic log and a handrail, the path will join with the road. It wasn’t clear if the path along the river continued so we took the road. It climbs up and down for about an hour then winds its way up and out of the valley towards Sigchos. The views of the valley are great but walking along a road uphill for 2 hours is not very nice. It feels a lot longer than it is. With 30-45 min of uninspired uphill walking to go we managed to hitch a ride on the back of a truck up to Sigchos, then caught a bus back to Latacunga (2.5hrs, $1.8). The entire loop wasn’t all that difficult since I was already acclimatised after sleeping at 2800masl (Quito and Latacunga) for a few nights. For anyone into hiking or thinking about climbing Cotopaxi, doing the loop is highly recommended. If you choose to do the loop in the other direction, take a bus from Latacunga to Isinlivi (2hrs, $2). It takes 4-5 hours to hike from Isinlivi to Chugchilan, descending to the bottom of the valley to cross the river and then hiking up on the other side to Chugchilan. 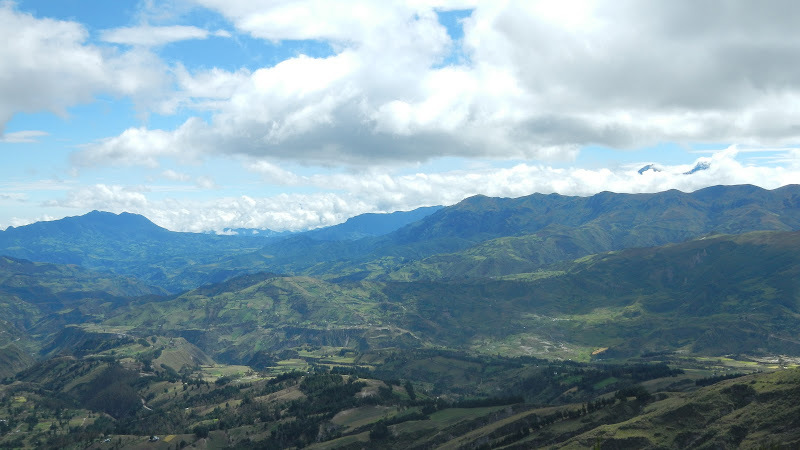 Stay the night in Chugchilan, then hike up to Quilotoa. This section requires you to go down into the valley again, then hike all the way up to the crater rim, an elevation difference of about 700 metres. You can then either stay the night in Quilotoa and catch a bus to Latacunga the following day or go back to Latacunga by taking a jeep down to Zumbahua and getting a bus from there. If you’re keen for more views, stay the night in Quilotoa then wake up early to hike around the crater rim before heading back to Latacunga. 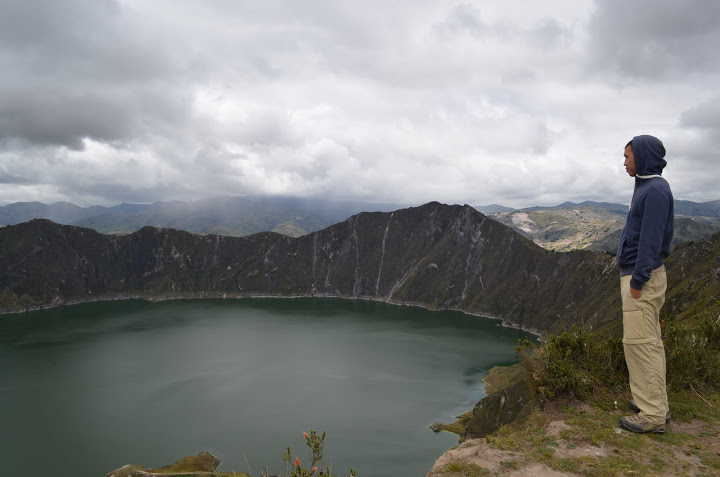 Have you hiked the Quilotoa Loop? What did you think of the trail? 42 Responses to "The Quilotoa Loop"
Although our tour only allowed for 2 hours of hiking, we really enjoyed hiking maybe a 1/3 of the rim. 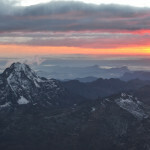 We wished we stayed at the Hostel Cloud Forest in Chugchilan and were able to finish the full loop. It ended up being about 20 miles and at a serious altitude. We got some great pictures and should def be on your to do list. hope you get clear skies and have an excellent hike! Love this spot! 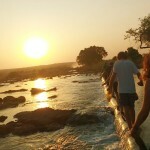 I went there last year on a trip I guided for students! What a beautiful spot! sweet! 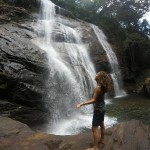 hope the kids enjoyed the hike and appreciated how beautiful the nature out there is! Im on my my there in the next week or so and this is going to be a great help! Thanks mate! awesome!! hope the weather holds up for ya and you have a great trek!! So I’m hanging around at the top of the crater today and I bump into a couple of Europeans planning on trekking the loop. I say, ‘Hey, you should check out my friend Steve’s post!’ It turns out that they already had! I am in Europe from April onwards, are we having a beer or what? 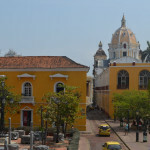 Teddy Mercer recently posted…Hello Ecuador! Crossing The Border To Cuenca. i’m not sure if i’ll be in europe at that point, but if i am we def need to catch up over a beer! 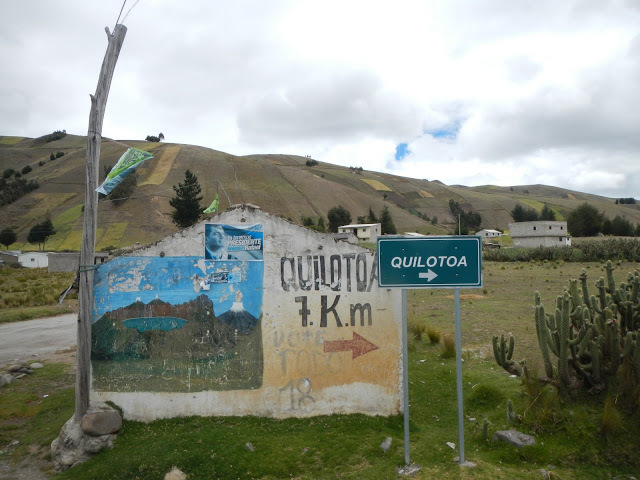 I would love to see your blog and to hear about a good guide to do the Quilotoa loop.thnaks! 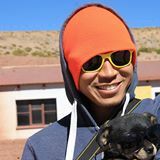 My partner and I were just recently in this area of Ecuador, and though we didn’t do this complete hike that you describe here, we certainly really enjoyed the scenery! The lake is especially gorgeous! cool, glad you made the trip to the crater lake! it’s so beautiful and really amazing when the colour of the water changes with the light. are you going to galapagos as well? For many reasons, no we won’t be visiting the Galapagos. Mostly because of the cost to be honest. My mother met up with us in Quito on her way there, though, so she’ll be doing a guest post on my blog about it soon! ah ok, yea it’s an expensive trip but as i’m sure everyone has told you, it’s totally worth it! 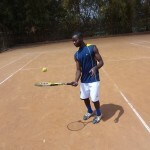 it cost me about US$1000 for a week there all-in. i’m sure your mom had a great time!! 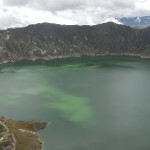 I knew about the Quilotoa crater lake but not about the hiking loop connecting nearby towns. Another activity to add to my list of things to do near Quito. Thaks for sharing! yea it’s def a beautiful hike, worth taking a long weekend to do if you live in quito. the highlight of course, is the crater lake but the rest of the hike is also really scenic. happy hiking! 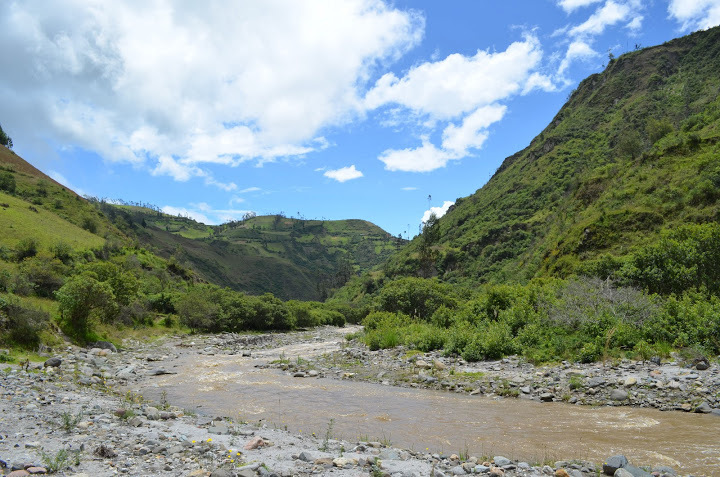 I did some more research about the area (which is not that close to Quito as I previously thought) and got very enthusiatic about the activities, hikes and scenery. yea.. it’s about 4-5 hours away by bus, but certainly faster if you have your own vehicle. not sure when the first bus leaves from quito for latacunga, but you could probably make it to one of the towns on the loop in a day via bus. do you live in quito? Hey thanks for all the info! Question: Which way do you think is an easier hike? Starting in Quilotoa or Isinlivi?? Or what are the differences in the directions? Starting in Quilotoa is definitely easier since it’s the highest altitude on the loop. 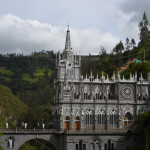 But if you’re looking for a bit more of a challenge then I’d say start at one of the other towns and finish at Quilotoa. Was wondering if you could check my guide out and see if its just as useful? I’ve done the loop a few times and put together a guide for everyone so they wouldn’t get lost! i took a quick glance and it looks good. nice work! Thanks for the great info. I’m planning to hike the loop on my own in a week or so. Do you have a recommendation on whether I should make hostel reservations ahead of time or if I can just show up? Much appreciated! you’re very welcome! 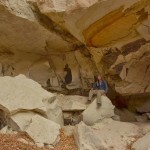 i think you’ll be ok with just showing up, unless there is a huge group of hikers arriving on the same day as you are… in either case, it doesn’t hurt to call up and see if they are full! Great info, thanks. 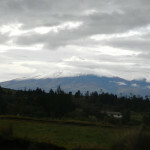 I’m from Quito and planning on hiking the crater rim for the first time. While I own them, I prefer not to use hiking boots unless absolutely necessary. Do you think that trail runners are good enough? Or do you think that I have to use boots for this hike? yea i think trail runners are fine. the path is fairly well marked and the terrain not too difficult. boots offer extra support and protection against rolling your ankle though.